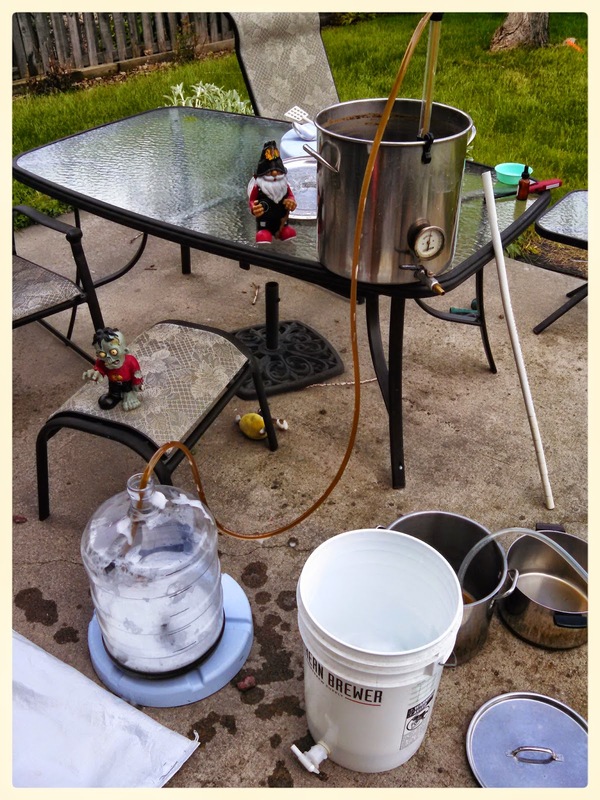 As I mentioned in Bad Lands Kölsch, we recently added a new Brewing Gnome at SheppyBrew Brewery. I also mentioned that he and I would be designing a beer recipe together soon. His name is Gzombie Gnome. He certainly does not look like either of the other SheppyBrew Brewing Gnomes. He is, in fact, pretty unique looking among all Gnomes. 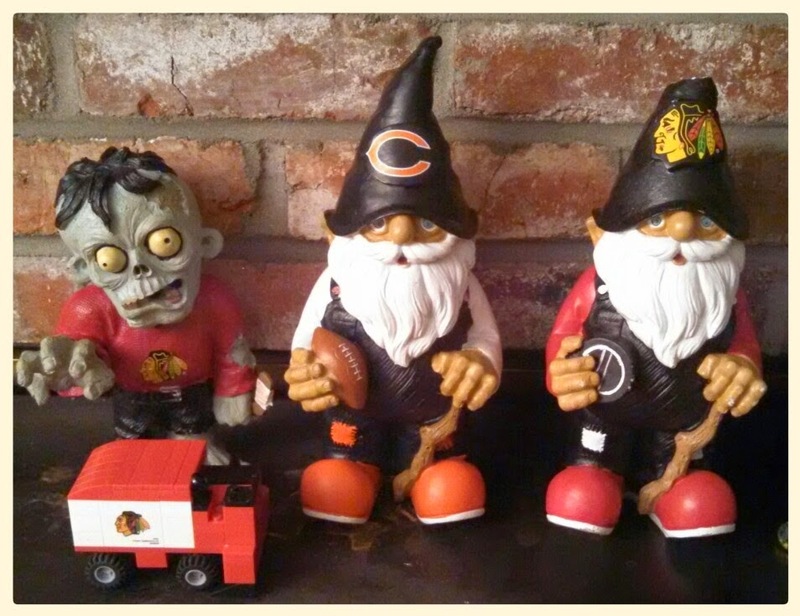 This is because Gzombie is a Zombie Gnome. Zombie Gnomes are pretty rare. You may not know this, but beer geeks love zombies. Don't believe me? Do a search on untappd for "Zombie Apocalypse" or just simply "Zombie". There are TONS of beers named after zombies. 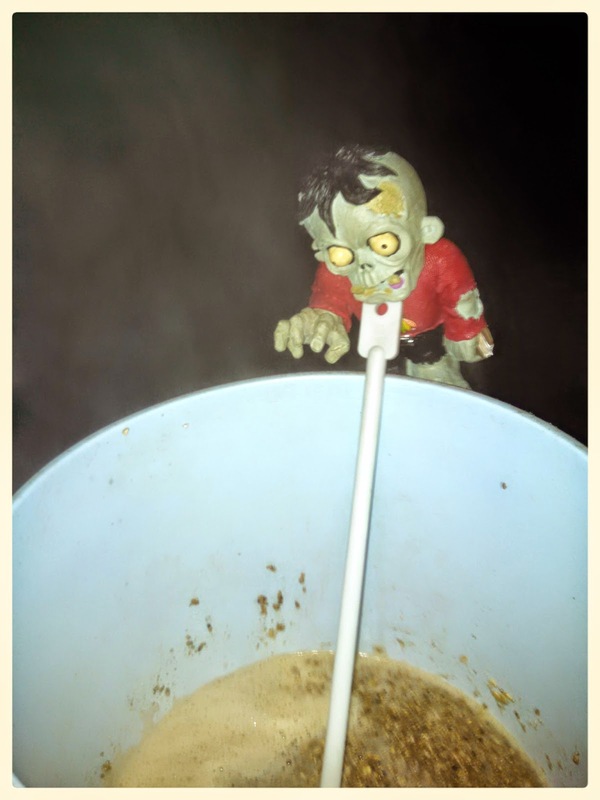 As one of my brewers is a Zombie, of course I needed to add to the Zombie theme. 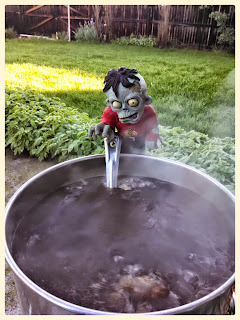 What would Sheppy Brew in the (likely) event of a Zombie Apocalypse? Well, first off, we knew we would want this beer to be very session-able. When the Zombie Apocalypse, I want to keep my wits about me as much as possible. 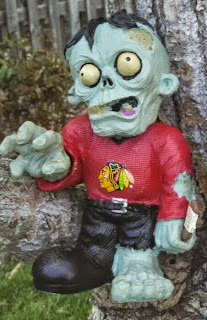 People who tend to lose concentration don't last long in any of the Zombie Apocalypse shows. They just don't. We want it to be full of body and flavor. If the beer you are drinking could be your last, you don't want some weak tasteless beer. In the event of a Zombie Apocalypse, you will use what you can get your hands on. If you have left-over hops in your possession, you use them.We had left-over Magnum, Fuggles, and Goldings hops in our freezer, so we used those in the recipe. I don't keep grains at the brewery, but if I were one who bought one kind of base malt, it would absolutely be Maris Otter, so I figured that would be the base malt for the beer. We generally have flaked oats (aka oatmeal) at the brewery. We threw in flaked oats. It is a little-known-fact that Zombies (especially Zombie Gnomes) love Rye Malt in their beer. Gzombie talked me into added a significant amount of Rye. In the Zombie Apocalypse, if I were plundering the abandoned home-brew shop, I would never grab liquid yeast. I'd grab dry yeast because it will last longer if I am not able to brew for awhile. Fighting Zombies might be time-consuming, after all. We added Midnight Wheat Malt because we needed color. And ... certainly "Midnight" just begs to be used in a Zombie Apocalypse beer. Don't ya think? And so, it really didn't take us too long to come up with a recipe. We brewed the beer today. Yes we did. We started early in the morning. I had the mash, the boil, and the chill done before church. I did have a bit of a challenge getting the mash temperature right. I let it get too hot, cooled it down too much, and heated it up again to where I wanted it. 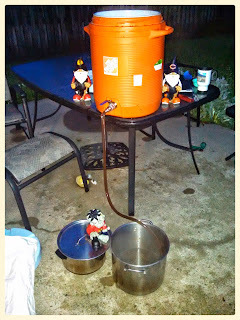 I actually had a real-high pre-boil gravity and a low volume. No problem. I used water to dilute. NOTE TO SELF ... in the event of a Zombie Apocalypse, don't forget to pack the refractometer. I ended up with the exact gravity that Gzombie and I had planned for. Not bad. I usually cool the wort to as close to 60 degrees as possible before pitching yeast. This time, I just pitched when I got back from church. It started out at 66ish. I also usually try to cool things for the first day or so. This time I didn't do any cooling at all. Who knows what cooling we will have during the Zombie Apocalypse? Fermentation has not started yet. I am sure it will overnight sometime. I am looking forward to trying this beer. It should be nice and flavorful without too much brain-dulling alcohol. This is more rye than I've ever used in a beer. I am interested to seeing what the rye and oats do to the beer. 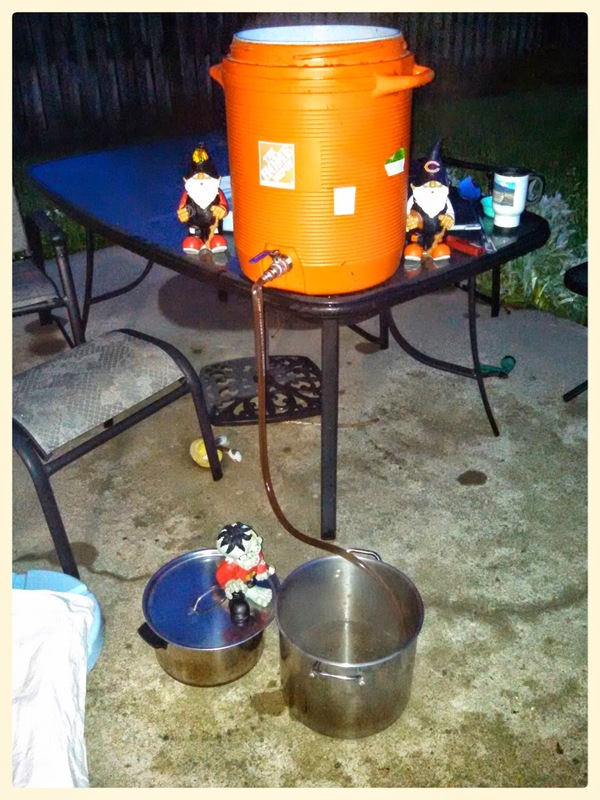 Gzombie and I will let you know how this beer turns out. Keep an eye on this blog, the recipe page, my twitter feed, and of course the SheppyBrew Facebook page.